DuBose Heyward is pictured with his wife, Dorothy. On August 31, 1885, DuBose Heyward was born in Charleston to Edwin Watkins Heyward and Jane Screven DuBose. 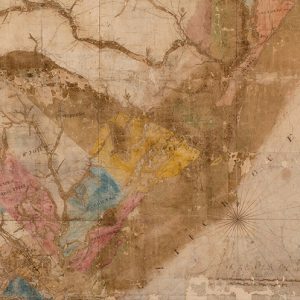 Jane was from St. John’s Berkeley, and Edwin claimed Thomas Heyward, signer of the Declaration of Independence, among his ancestors. Their only child was Edwin DuBose, and Jane decided to call him by his middle name as a reminder of his Huguenot lineage. The Heywards struggled financially, and their son was a sickly child. When DuBose was three, Edwin died. Jane took in sewing and ran a boarding house to support herself and her son. Jane also began to write and perform the Gullah stories that she learned as a child. 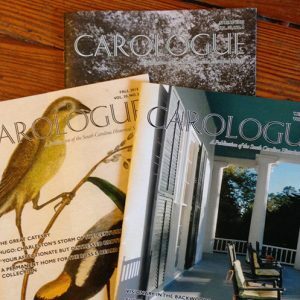 As a young man, Heyward joined a Charleston insurance company, and a steady income enabled him to pursue his passion, which at that time was poetry. 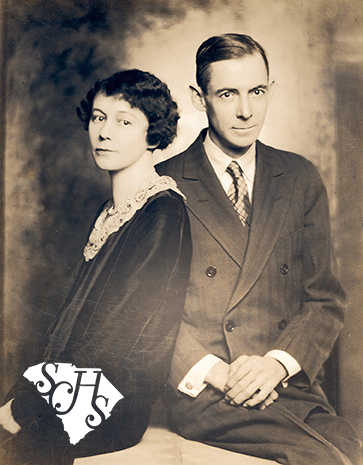 He and John Bennett joined Hervey Allen to form the Poetry Society of South Carolina which, according to Heyward’s biographer James Hutchinson, “initiated the great southern literary renaissance of the early twentieth century.” Three years later, Heyward married playwright Dorothy Kuhns, who encouraged him to devote his time to writing. In 1925, he published his first novel, Porgy, which was based on African American life in Charleston. The book gained notoriety, and a nonmusical theatrical version of the story broke ground for providing dramatic roles for African American actors. While Heyward made many other contributions to literature, he is most remembered for Porgy, which was adapted as an opera titled Porgy and Bess in 1935. Heyward, along with Ira Gershwin, wrote the lyrics for many of the songs featured in the production. He also worked with George Gershwin on the script, and he and his wife Dorothy oversaw many of the details of the performance. 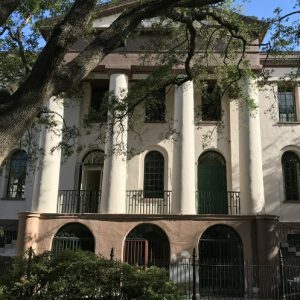 Sadly, Porgy and Bess was not a terrific success in New York, and the Heywards returned to a relatively quiet life in Charleston. He was named resident dramatist of the Dock Street Theatre and died in North Carolina in 1940. Although Porgy and Bess was not performed in Charleston until 1970, it did gain worldwide acclaim. In the 1950s, a revised version premiered in London and then toured Europe. After returning to Broadway in 1953, the production returned to Europe and was seen in Belgium, Germany, Greece, and Yugoslavia. Two years later, it was performed in the Middle East, Russia, Africa, and Latin America. In 1976, the Houston Grand Opera presented the opera based on Gershwin’s original full score. This production won the Houston Grand Opera both a Tony and a Grammy Award. 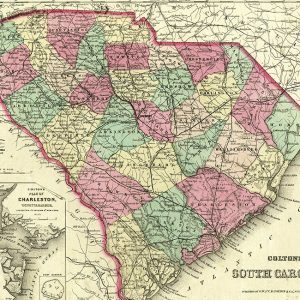 It is now considered one of the most important American musical works of the twentieth century, and we owe its origin to South Carolina author DuBose Heyward.